When it comes to locating the investment property thats right for you, youre shopping not only for the perfect property but also for the neighborhood that best suits your financial goals. In fact, before you even beginning to hone in on potential properties, its wise to first narrow your options by targeting a few specific neighborhoods in your desired area of purchase. Begin by asking yourself what your ideal tenant pool looks like. Do you want to target the evergreen student population? If so, youll want to make sure that youre looking in areas that offer easy access to nearby colleges and universities. Are you looking to cater to young professionals? Consider trendy or up-and-coming areas that are in close proximity to business districts and local restaurants and shops that will likely appeal to 20- and 30-somethings. If its families youre after, narrow your search to quieter neighborhoods in desirable school districts. Once you have the generalities out of the way, its time to drill down to some specifics that take both your current budget and your long-term investment goals into account. Choosing just the right neighborhood requires that you are both a good historian and a good forecaster. Remember, this is an investment so you want to hedge your bets and utilize any resource possible to ensure that this neighborhood is not just a good fit today, but that it also will be five, ten, fifteen, or even twenty years down the line. Ask yourself these questions: Does this neighborhood have a good reputation? How has it changed over the past five or ten years? 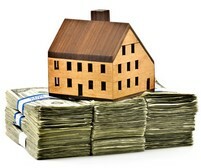 Have property values increased or decreased? Is this neighborhood up-and-coming? In decline? Stable? Regardless of the tenant demographic youre catering to, the safer a neighborhood is, the easier it will be to get good tenants in the door. Crime statistics are a matter of public record and can generally be found on your town or countys local police website. If you are unable to identify this information online, give your local police department a call and they will be able to either provide you with the information you need or point you in the right direction. Number of rentals vs. owner-occupied homes Its not uncommon for homeowners in primarily owner-occupied areas to view rental properties with some skepticism. While this doesnt mean that you shouldnt purchase in these areas, it does mean you should be aware that you may have to deal with some opposition should you purchase a rental in this sort of neighborhood. On the other hand, if youre purchasing a property in an area that caters to renters, this may mean that there will be more competition when it comes to placing good tenants. Particularly in urban areas, a general lack of parking can be a real headache for tenants. Be aware, however, that if you do locate a property that offers on-site parking in an area such as this, you will most likely be able to rent units at a higher rate. Likewise, in an area where parking can get sticky, residents are more likely to utilize public transportation than they may be in other scenarios”finding a property that offers easily accessible public transportation in this sort of instance can significantly increase the appeal of your units for potential tenants. If youre working with a real estate agent, chances are she will be able to provide much of this information for you. If youre going it alone, though, dont rely solely on the internet. While e-research is obviously a great way to narrow your search, first-hand experience is essential. Talk to friends and fellow landlords or homeowners in your target area and stroll or drive through the area on at various times of the day. Call local property management companies and look at rental sites to see what the average rent in these areas is. Because, as we all know, in the end its all about location, location, location. Michael Monteiro works for Buildium LLC, maker of online property management software for landlords, professional property managers, condos and homeowner associations (HOAs) and is author of the The Buildium Property Management Blog. Check out the Buildium Blog for more property management resources. See The Right Way to Handle Subletting.